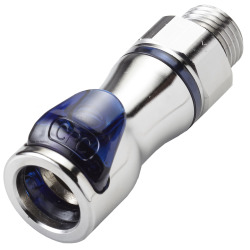 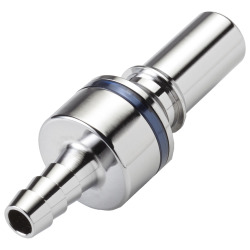 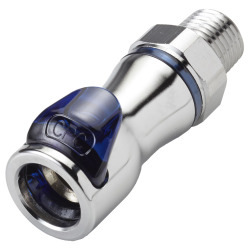 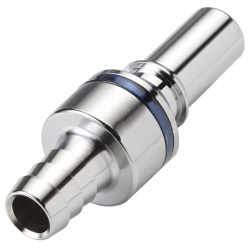 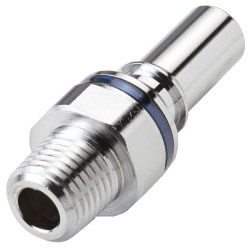 3/8" Hose Barb LQ4 Chrome Plated Brass Valve Body - Blue | U.S. 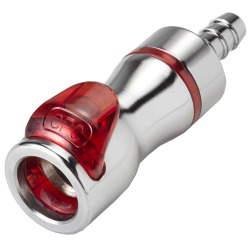 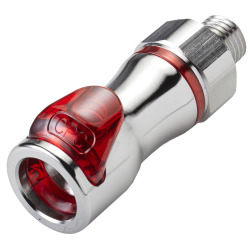 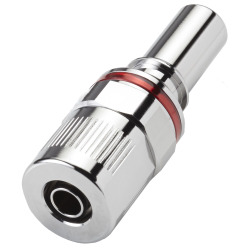 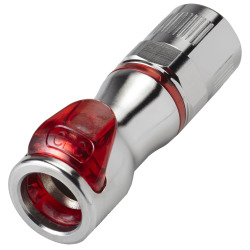 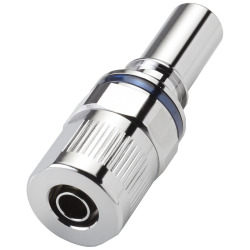 Plastic Corp.
LQ4 Series quick disconnect couplings provide ultra reliable, dripless connections and disconnections that protect valuable electronics. 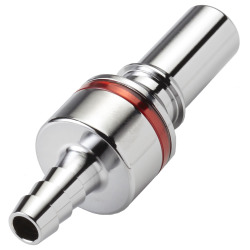 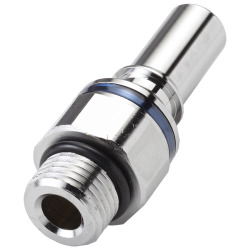 Designed specifically for liquid cooling applications, LQ4 utilizes patent-pending valve technology that eliminates drips and is able to withstand long-term use. The non-spill design allows disconnection under pressure with no spills. Redundant sealing when connected adds extra protection from leaks. Red and blue color coding provides visual differences in cooling lines. 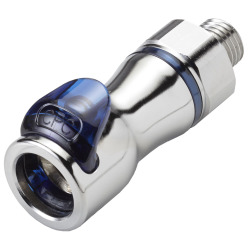 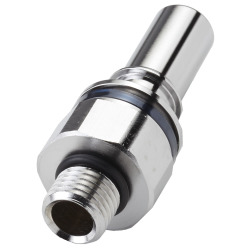 No seal friction in connected state allows ultra-reliable protection from drips at disconnect even after long periods in connected state. 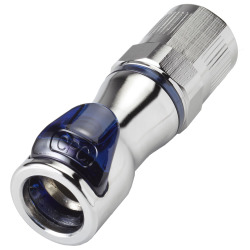 The ruggedness of these couplings makes them able to withstand long-term use. 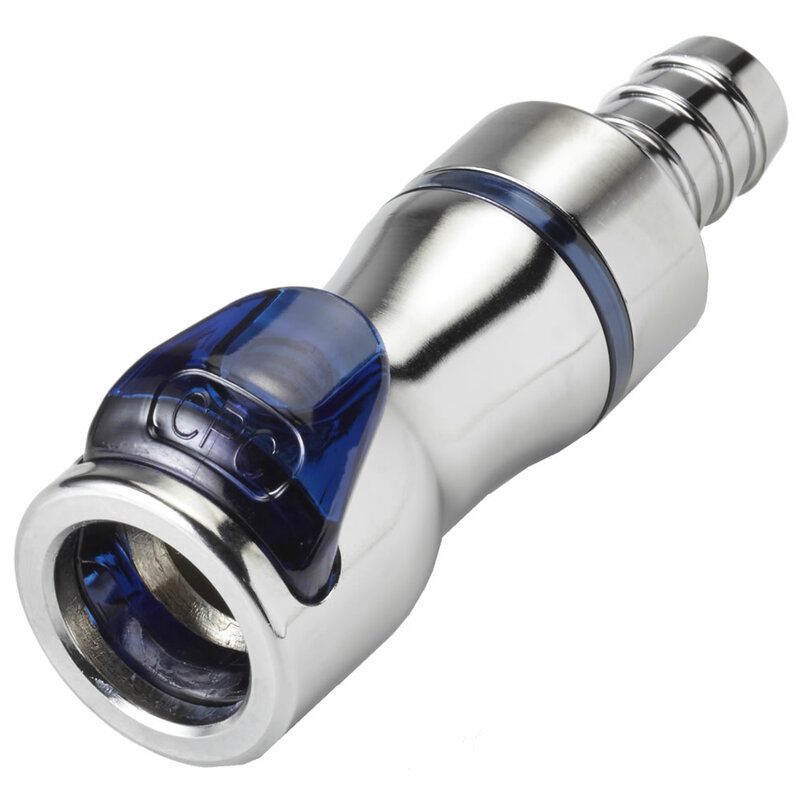 Rotation of these couplings allows movement which eliminates tube kinking.